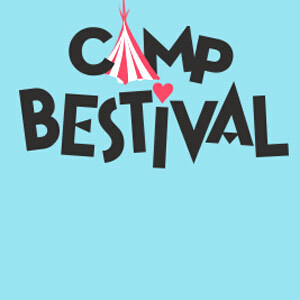 Camp Bestival is the baby sister festival to the multi award winning Bestival ('Best Medium-Sized Festival' UK Festival Awards 2005/6/7/9) and now a double award winner in its own right: 'Best New Festival' (UK Festival Awards 2008) and 'Best Family Festival' (UK Festival Awards 2009) Camp Bestival take place at the majestic Lulworth Castle, set against the backdrop of England's dramatic Jurassic coastline in Dorset. With an intimate 15,000 tickets on sale it harks back to the first ever Bestival, where magic moments were shared between special people, creating memories that last forever. It's inspired by the halcyon days of summers past - imagine the 1950s British Holiday Camp with a twist and you'll get close to what Camp Bestival is all about.